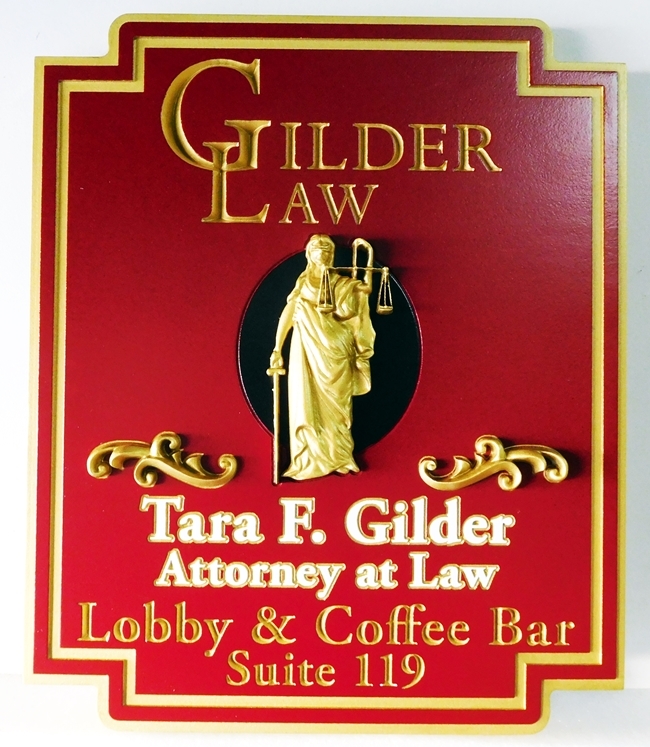 This very elegant and beautiful Attorney-at-Law sign,for Gilder Law, has Lady Justice as 3-D art, which is carved in High-Density Urethane (HDU) in high-relief i.. The artwork , text outline and border are is gilded with 24K gold leaf. The entire sign is then clear-coated twice.